We’ve answered some of the most commonly asked questions below. If you have a question that is not addressed here, please feel free to email us for assistance. Is there a newsstand near me that sells Imbibe? Most likely! You can visit our Where to Buy page to find a store near you or contact us directly and we’ll help you track down a copy. How do I subscribe and what will I get? Imbibe is published bi-monthly. A one-year subscription includes six issues, and a two-year subscription includes 12 issues. There are subscription cards included in every issue, but for the fastest service, you can subscribe online. If you plan to purchase more than one subscription, you can visit our gift page and save 10% more on additional subscriptions. For subscriptions mailed to addresses outside the U.S., expect additional charges of $10/year for subscriptions mailing to Canadian addresses and $20/year for subscriptions to all other countries. I just subscribed to the print edition. When will my first issue arrive? Your first issue will be delivered 6 to 10 weeks from the date you subscribe. I see the new issue on newsstands, but I don’t have my copy yet. Where is it? We know how excited our readers get to receive every issue! We do our best to ensure that subscribers receive our new issue before it’s available for sale on newsstands. If it’s been more than two weeks since the magazine appears on newsstands and you’re concerned, just feel free to contact us and we’ll investigate what happened. We’d like to hear from you as far in advance as possible to ensure you don’t miss an issue. For quickest service, visit our new Customer Self Service Portal, create an account or log in to update your address. If you’ve already moved or missed an issue due to a move, please email us with your full name, old address and new address. How do I subscribe to the digital version of Imbibe? 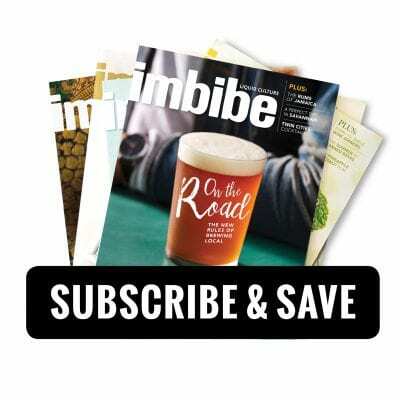 Imbibe digital subscriptions are available for Apple, Android and Kindle devices for one and two year terms. You can purchase digital subscriptions directly on our website for $21.95/one year or $32.95/two years here. I’m a print subscriber—do I get the digital version for free? We wish we could offer the digital version for free, but alas, it’s not free for us to produce, and as a small, independent company, we have to cover our costs in order to continue producing the magazine you love. We now offer a digital ‘add-on’ subscription for only $1 per issue when you combine with your current active print subscription. Simply log in to your subscription account to access your digital options. What do I do if I have questions about or problems with my digital subscription? We’re here to help! Just email us here, and we’ll do our very best to resolve the problem for you. How can I keep up with Imbibe between issues? You can sign up to receive news, recipes and special offers via our free monthly e-newsletter, Tasting Notes. And be sure to follow us online at imbibemagazine.com and on Facebook, Twitter, Pinterest and Instagram for our up-to-the-minute coverage of liquid culture. How do I give Imbibe as a gift? Who will receive the renewal notices? 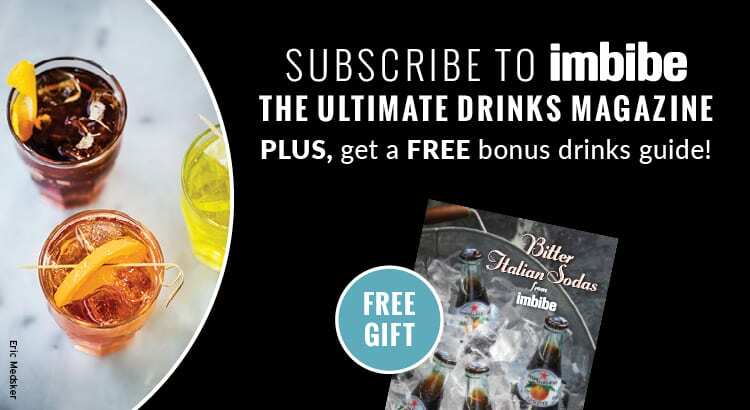 A subscription to Imbibe makes a perfect gift for family, friends, clients and colleagues. You can order gift subscriptions here, and the more you give, the more you save! If you wish to make changes on a past gift order, such as an address update, please contact us. I think it’s time to renew. When does my subscription expire? You can log-in to your subscription account to renew at any time to extend your subscription. To find out when your subscription expires, look to the mailing label on your latest issue. You will find an issue date printed above your name; i.e. M/A17 equals Mar/Apr 2017. That is the last issue of your subscription. Don’t worry, though, we’ll be sure to remind you in advance so you don’t miss an issue. Absolutely. Renewing online is the easiest way to keep your subscription going. Just log in to your subscription account to use our easy online renewal service. We accept Visa, Mastercard, Discover, and Paypal for online renewal payments. I received an invoice in the mail. Can I pay online? Yes! You can complete your order by logging in to your subscription account to use our easy online invoice payment form. Why do you ask for my phone number and e-mail address when I place an order? Our full library of back issues is available to browse and order from here. Back issues are just $5 each, plus shipping and handling. I have a question/comment/idea for your editors. We love hearing from our readers. Please email our editorial team here and we’ll route your note to the right person. How do I get information about advertising in Imbibe? Visit our advertising page to learn more. To receive rates, specs and/or a full media kit, send a request to advertising@imbibemagazine.com, and we’ll email the information to you. How can I get information about Imbibe‘s Negroni Week event? Head to negroniweek.com and/or email us here.